EXCLUSIVE! 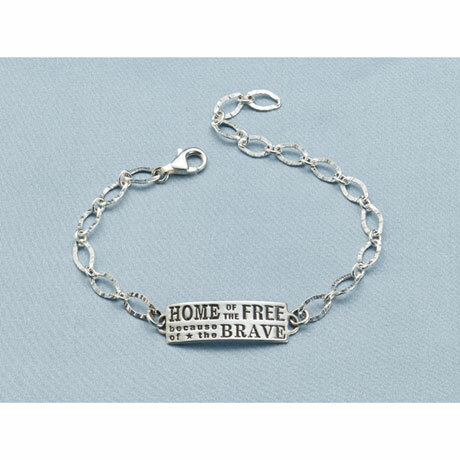 Wear it to honor those who fought and still fight. Sterling silver 1 3 /8" tag is held by two lengths of hammered sterling chain that secure with a lobsterclaw clasp. Adjusts up to 8".